It is time for another Christmas Home Tour! 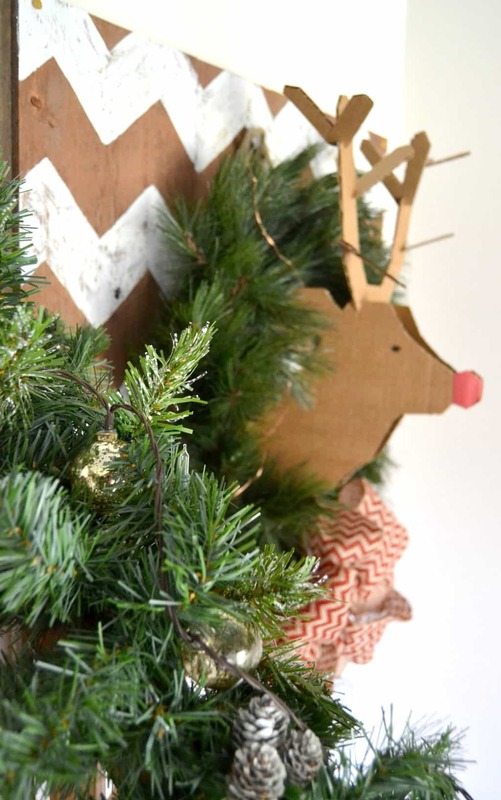 Last week, I shared our thrifted Christmas decor in our back porch and today, I am inviting you into another little spot of our home. Our living room. Our living room has changed a lot over the years and so has the Christmas decor. It is always fun to change things up for the holidays. Since our living room isn’t huge, I needed to put one of our chairs in the back porch to make room for the tree. Now, I really like that chair in the back porch. I guess I am on the hunt for a new living room chair. If you have any ideas that would look great in here, send them my way! 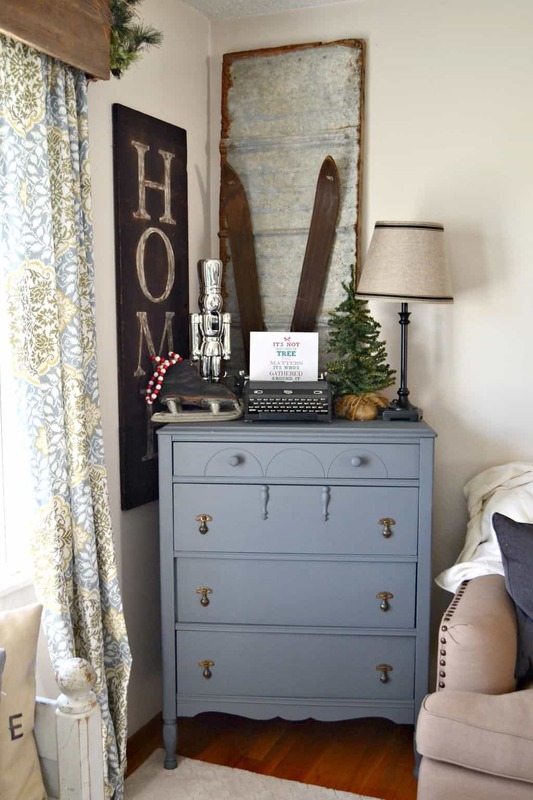 Small vignettes make a big impact. 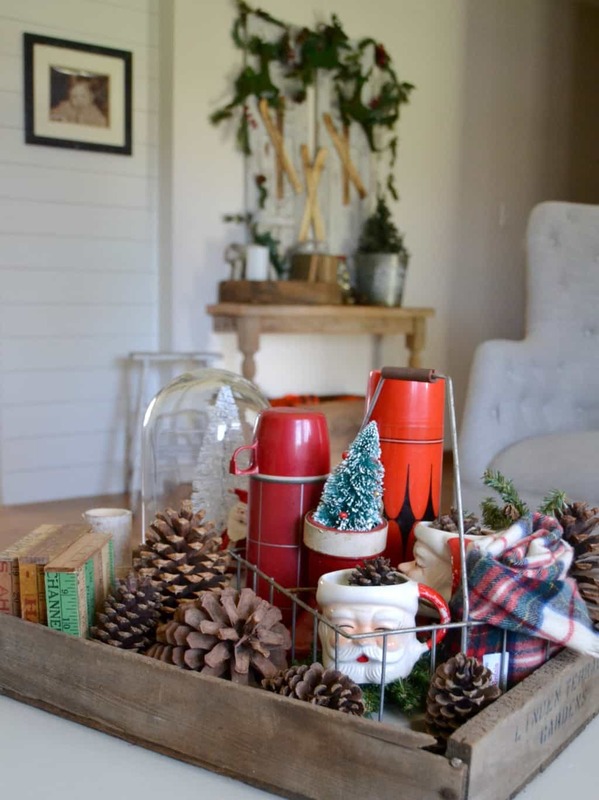 When I started to decorate this wood box, I grabbed the wire basket and thought it would be fun to fix it up as if we were heading out on a winter afternoon to enjoy some hot chocolate. Vintage Santa mugs, a plaid scarf and a vintage thermos is all this little basket needed. I added a large cloche from Kirklands as well. I was so excited to get a large cloche for under $15!! This cloche also comes with lights so it looks extra festive lit up at night. 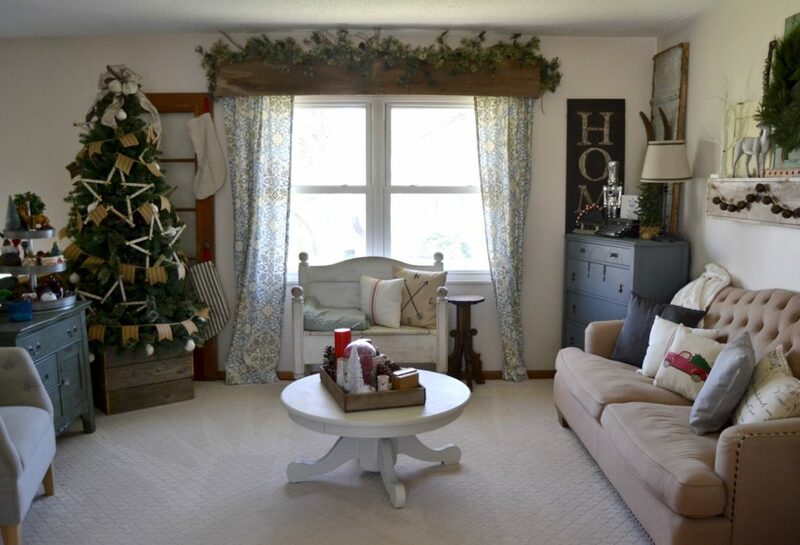 A couple of pine cones, our DIY coasters and this vignette is done. 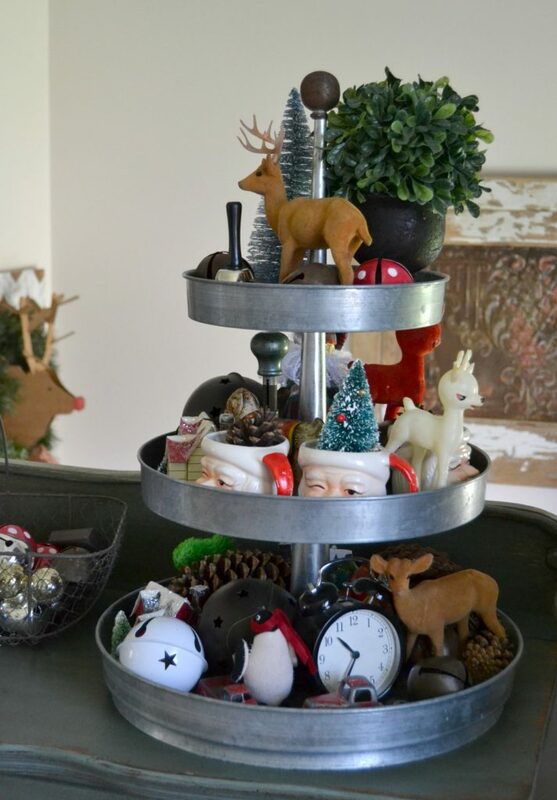 I always pick up Christmas decor when I see it throughout the year and when it comes to decorating with the little odds and ends, this year, I grouped them together in this galvanized tiered tray (find a similar one here). With everything together, it looks cohesive and each piece stands out as part of the collection instead of being on its own randomly throughout the house. Our tree got a makeover again this year. I change it up in some way every year. 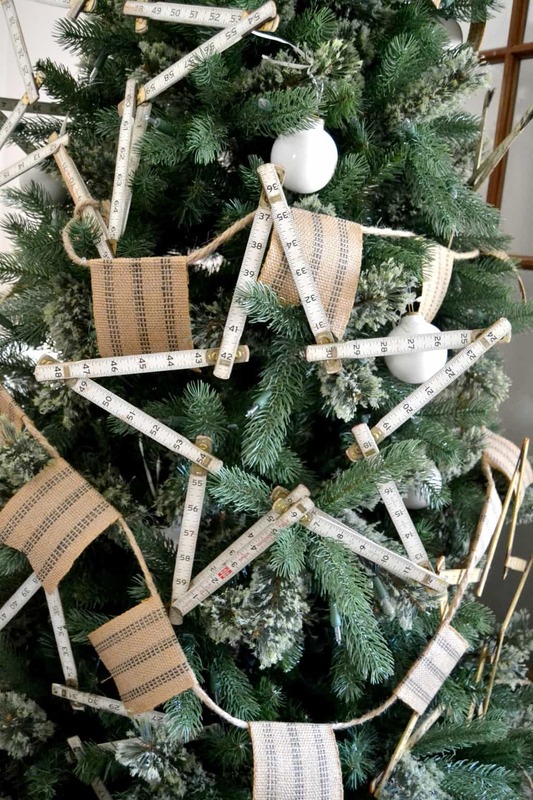 I made a Farmhouse Christmas Tree Garland, added adjustable rulers formed into stars and our white porcelain ornaments. It is super simple, but it all fits well together. Of course, just like my fall tour, I could not leave my vintage typewriter without a little message. 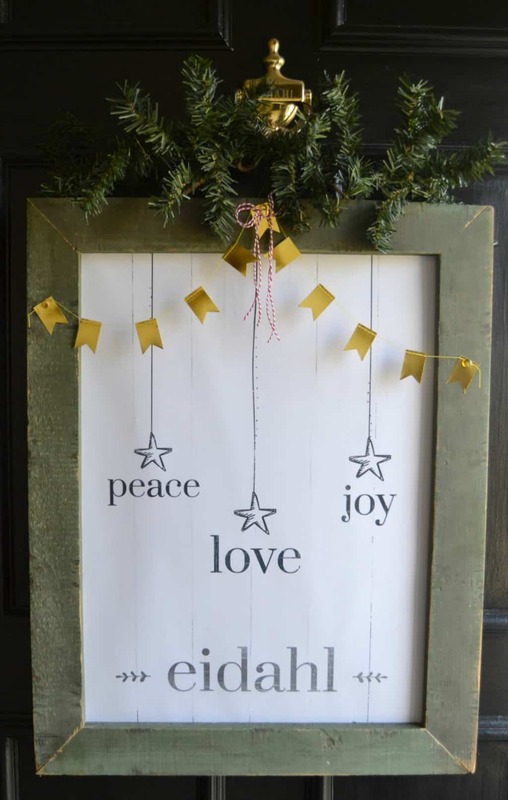 A Christmas Home Tour needs a good message and this one is so important during the holiday season. I made this into a free printable that you can download and print off for your home. Find it here. I added a wreath to the bicycle wheel on the old door behind my desk. I will hang Christmas cards on the wheel once we start receiving them. I picked up these velvet reindeer at a little antique shop after Christmas a few years ago. I usually hang them over a window, but this year, I added them above our entry table. I was hoping Target would have more of the skis in the Hot Spot this year, but they didn’t. I wish I would have grabbed more of them last year. I added a few festive touches to the entry table and we are ready to welcome everyone with bells ringing. We have to add Mr. Cardboard Reindeer to the Christmas decor every year. The kids say it is tradition, but I think he is too cute not to hang up. Finally, I am so excited about the print I received from Jibeprints.com. 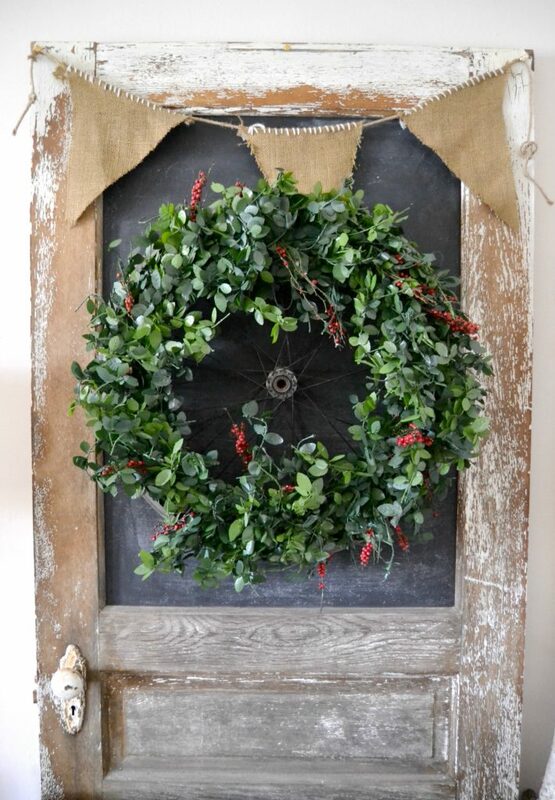 We added a rustic green frame to it and hung in on our front door. 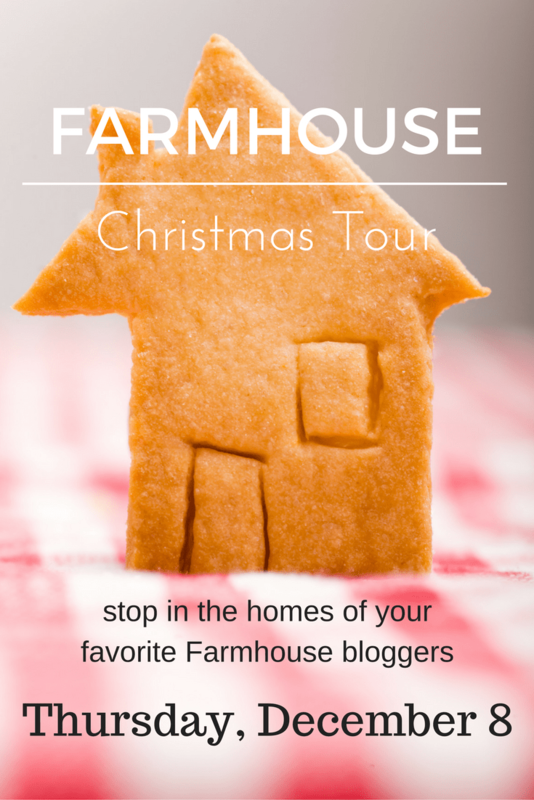 Thank you for stopping by for our Christmas Home Tour! I am adding stuff and changing things around as I am writing this post. Ha! Some things never change. The weather has been so nice in Iowa that it doesn’t seem possible that Christmas is right around the corner. Have you started decorating yet? 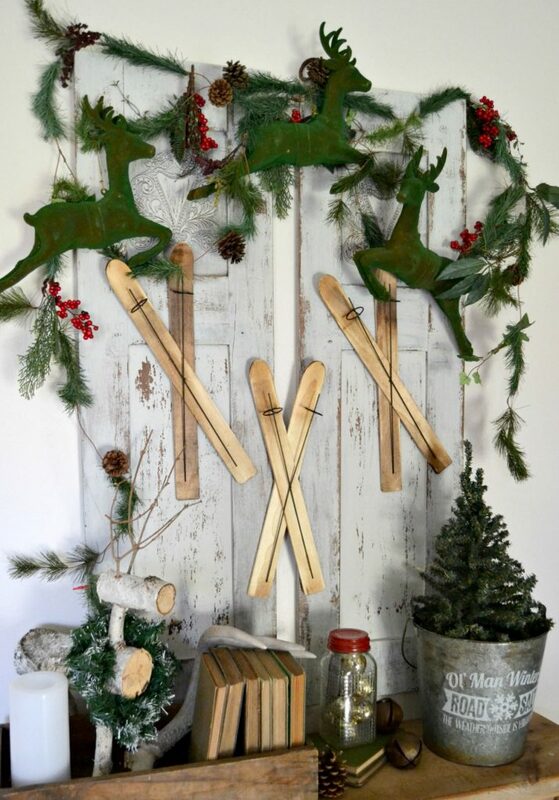 What is your favorite room to decorate for the holidays? Make sure to check out all of my friend’s gorgeous tours as well! Make sure to head over to all of these other amazing home tours. Grab your favorite hot drink, get cozy and start browsing around. I’m loving all the pretty trees in this tour! Yours is no exception. I love the banner and the stars! It’s gorgeous. I also have that same typewriter. I love how you incorporated it into your tour. Everything looks so pretty! 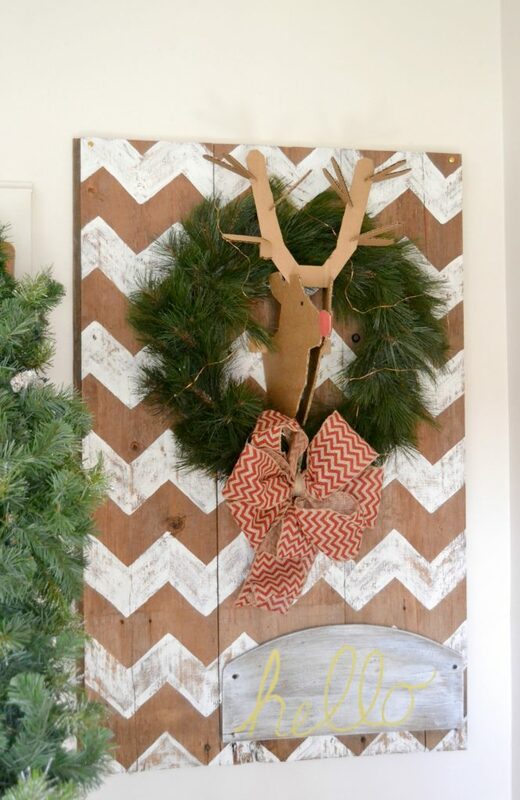 Your Christmas home tour is really beautiful! I’m in love with that old door, I need to find one of those! Lindsay, your living room is gorgeous! 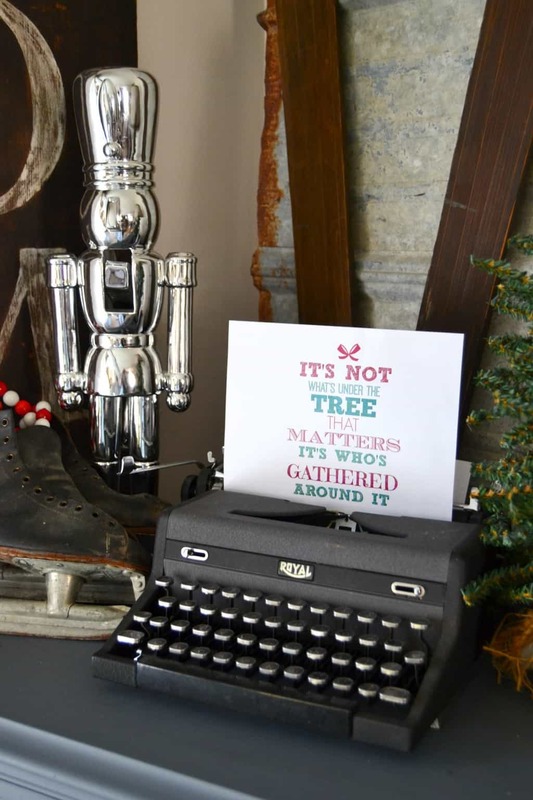 Your tree, and that little side table, and all the little details like the typewrite. It’s just all so cute! Lindsay – You have so many fun Christmas decorations! I love the cardboard deer, he has to stick around for sure. So glad to be on tour with you today! Merry Christmas friend! Thank you! Merry Christmas to you! You are overflowing with creativity! 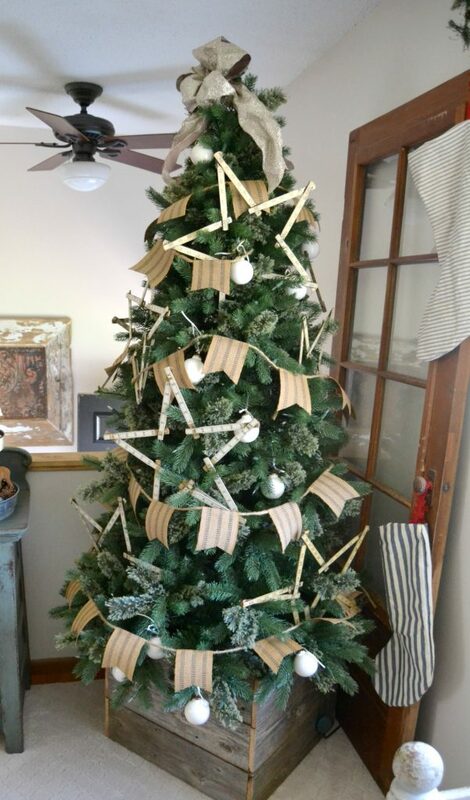 I love the bicycle wheel idea, cardboard reindeer, webbing garland, star rulers, and I am so going to copy you the typewriter with writing idea! !